The Envirotreat Stabilisation Technology is a chemical and physical immobilisation technique incorporating the use of specially modified E-Clays and other specialist additives.The E-Clays can be applied for the effective remediation of contaminated soils enabling contaminated material to be brought back into effective use on a sound technical and commercial basis. The clays function by chemically reacting with and immobilising both inorganic and organic pollutants. Envirotreat’s proprietary advanced E-Clay stabilisation technology is recognised as a highly effective form of soil contaminant stabilisation. 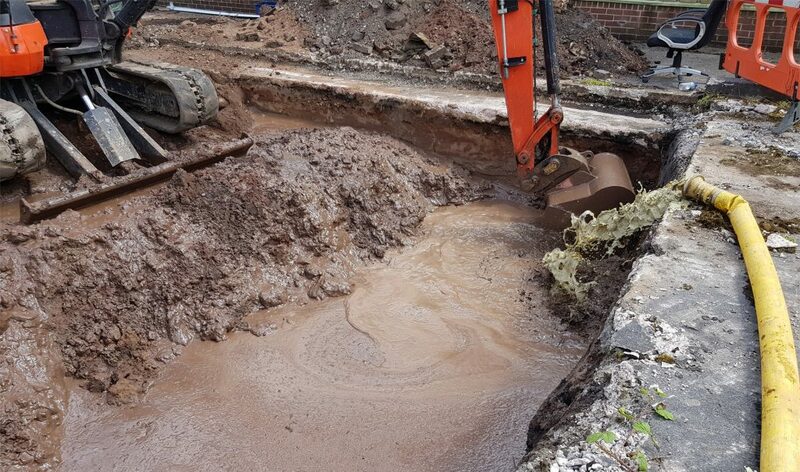 Envirotreat have successfully treated soils contaminated by a wide range of pollutants. The unique technology relies on modification of smectite clays. The modifications allow the contaminants to become bonded within the E-Clay structure, thus reducing leachability. One of the unique attributes of the E-Clay Technology is its flexibility to treat a wide range of simple and / or complex contamination issues. Envirotreat have demonstrated effective treatment of a wide range of hydrocarbon contamination (including total petroleum hydrocarbons, polycyclic aromatic hydrocarbons, chlorinated hydrocarbons, etc)and inorganics contamination (including metals, hexavalent chromium, cyanide, etc). The treatment process can be undertaken both ex-situ and in-situ to suit site constraints. Ex-Situ – where the soils are fully excavated, treated, stockpiled and validated. Allowing reuse on site as and when required. In-Situ – where the soils are treated within being excavated. This is advantageous for small sites, deep contamination or where excavation of the contamination would result in a significant risk.